The Personal Touch Massage :: Welcome! 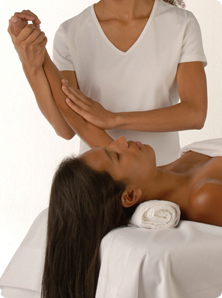 We offer appointments in the comfort of your own home or our Litchfield Park massage studio. Our Litchfied Park location offers you the opportunity to "get away" from your daily routine. Do you have a special event coming up where you'd like to offer 10, 15, 20 minute Chair and Table Massage? Due to the nature of this specialized modality, this service is offered at the studio only.